The golfer posing with Lexi in the middle pic is LPGA rookie Jaye Marie Green. Lexi wrote about this pic, "Been working hard on my fitness and nutrition for the last 3-4 years...but now I gotta make some time to even out these tan lines." She looks great. 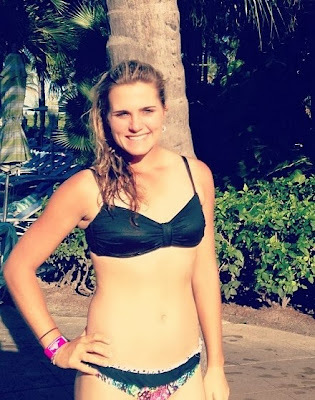 I love these lady golfers being proud of their bodies.